I am all about the strong female musicians, especially in a genre like alternative rock that is dominated by male bands. So when I first heard of this week’s feature band, HAIM, I was instantly hooked on their music and style. 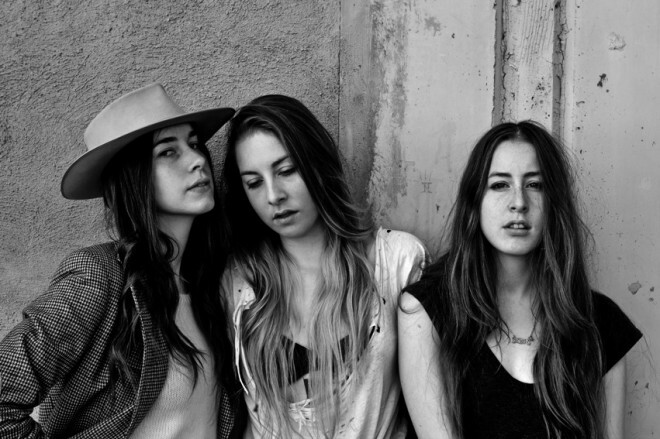 HAIM is comprised of 3 sisters and it is reflected in the band’s musical chemistry. The girls’ vocal timbre is reminiscent of Sara Bareilles, while their music style draws vibes from Tegan & Sara, Phoenix, Florence & The Machine, and Blondie; totally Coachella worthy! The Haim sisters’ musical resumes are quite impressive (to say the least), ranging from playing in Julian Casablanca’s (The Strokes) and CeeLo Green’s touring bands, earning Ethnomusicology degrees, and all being proficient in more than one instrument, it is safe to say that these girls are GOOD. This family of Los Angelites have mastered the art of crafting catchy indie-pop songs with the help of toe-tapping beats, a tasteful amount of synths, and contagious harmonies. Check out their first album (after a multitude of EPs and singles), “Days Are Gone,” you won’t be disappointed!